Imagine a sanctuary so alluring the Duke and Duchess of Windsor made it their epicenter for high society as the famed Balmoral Club of the 1940s. Today, transformed into the Sandals Royal Bahamian, it remains an oasis of European grandeur where guests are still treated as royals. Voted “Top Spa Resort” by readers of Conde Nast Traveler, Sandals Royal Bahamian is considered to be the Caribbean’s most elegant resort. Seductive alabaster sand beaches and crystalline waters embrace tropical gardens and opulent suites—some the size of private villas—complete with every imaginable amenity, even your own butler. Authentic Bahamian architecture embodies the warmth of the islands, while the secluded Royal Village exudes an aura of peace, serenity, and ultra privacy. Top-tier suite guests make an imperial entrance from their chauffeur-driven Rolls Royce—our compliments. 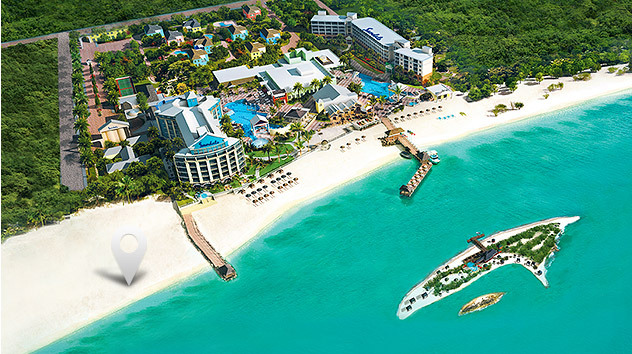 And only Sandals gives you two vacations in one: Included is an exotic escape to Sandals’ romantic offshore Island just minutes away with two secluded coastlines, a chic beach club, signature pool with swim-up bar, the exquisite Red Lane Spa*, and the region’s best seafood house. Culinary dreams come true in ten superb restaurants resort-wide. 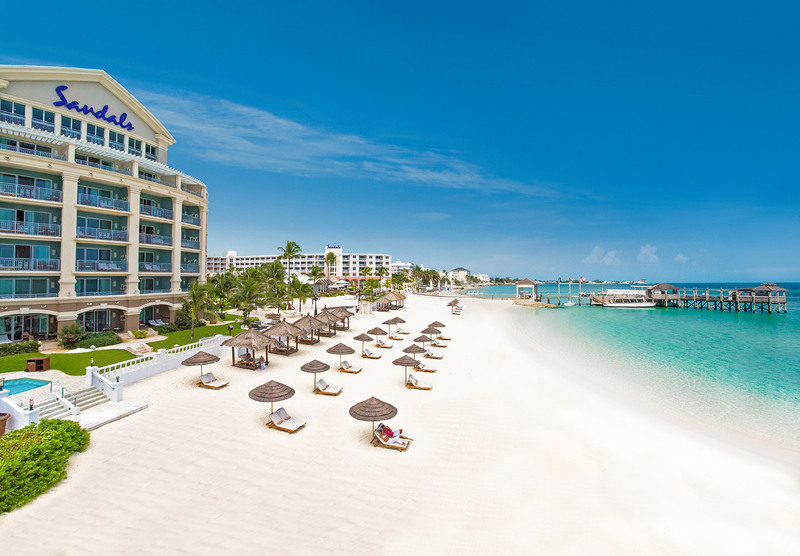 Sandals Royal Bahamian is the best of all worlds—European elegance and island romance all wrapped up in one unforgettable vacation. 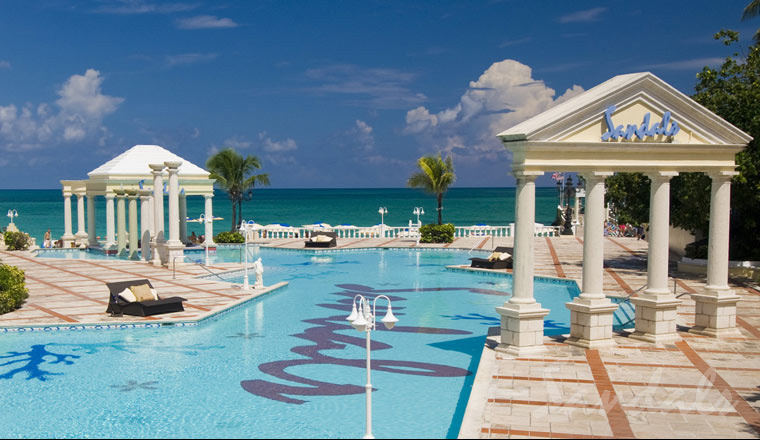 Personality: Sandals most regal resort offering clients regal Bahamian ambience. Features: Private Off Shore Island; World Renowned Red Lane Spa; 10 Gourmet Restaurants; Casinos nearby, Continental breakfast in bed all catories, Exclusive Gordon's Restaurant for butler serviced guests.